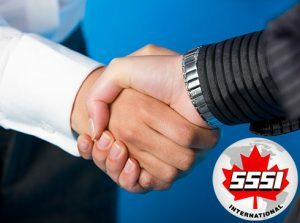 SSSI INTERNATIONAL INC. has more than 26 years of commercial presence in the Caribbean and has a representative office in the area since 1986, selling our products, engineering and design solutions, and ensuring extensive post sales service for construction fields, aviation industry for its ground services, general and oil industry. Is a company of Canadian origin, with its headquarters based in Mississauga, Ontario, Canada. It was founded in 1958 under the name LTS (now SSSI) with a number of branches in the United States and different Canadian provinces. In the beginning it was known as a company to provide technical support and maintenance services to oil companies in Canada and the United States. In later years, it extends its business to the area of specialized equipment and accessories supplies for transfer operations and fuel handling in the aviation industry, with SHELL, ESSON and, MOBIL Company as main clients. Our product range is very varied and you can found them in the selection of the different divisions of SSSI International Inc., as well as solutions to the needs of each customer in particular or market niche for different fields of the industry. Each division provides our own products, as well as products from our suppliers that are of great international prestige. Besides, you can count on the support and the necessary solutions receiving a quality service and maximum satisfaction. Is a division oriented to work commercially and technically with solutions for high industrial productivity, focused on efficiency, safety and ergonomics as we count on a technician team certified by the supplier and global leader Atlas Copco and its multi-brand. Oriented to serve the demand of customers belonging to the technical and service field in the aviation industry, civilian and military.This division is able to satisfy the main demands of airport industry infrastructure such as air terminals, fuel depots, and other related facilities. SSSI International Inc. is our Branch office in the Caribbean, and consists of four different divisions according to the market. These are called: Process, Construction, Aviation and Air Compressed. These divisions, even if they are for specific and independent markets and have their group of certain specialists, are related under the same mission and vision business, in which the role in the business area is to develop, to implement and to monitor the objectives and strategies in the business field in general.